First, I must apologize, because I believe one of my blogger friends has already given me this wonderful award, but I didn't remember till just now! I am sorry I am so feather-brained. 1. I was a ballet dancer from the ages of 3 years to 9 years. I even danced in the Nutcracker! 2. I really, really like bugs & spiders, and have since a young age. I am still thinking about becoming an entomolgist when I grow up. I have all the gear and even pin my own beetles and have spiders in preserving fluid. 3. I have fighter pilot vision. I will be so sad when my eyesight goes, because I won't be able to draw itty-bitty anymore. 4. I lived in Basingstoke, Hampshire for 7 months and I've been there on vacation 2 other times. England is my first true love. 5. The only thing I'm allergic to is shrimp; the little tiny cocktail kind. I puke a lot. The strange thing is that I can eat every other kind of shrimp and shellfish in existence. 6. I have a short attention span. Seven things is too many. 7. When I was little I used to plan huge reenactments of Disney movies. I would make my little sisters dress up like mermaids and we would perform Little Mermaid songs for our dinner guests. I also spent the 2 weeks before my 7th birthday rehearsing Beauty & The Beast and assigning parts to my guests, but it never happened. We didn't have enough kids for all the parts. And now to pass the award along! Haiku Ambulance: Zoe is so nice and so cool! Gorgeous, talented, funny; what more could you want! Her blog is always a pleasure to read, so make sure you don't just gawk at the great outfits! Read! This Charming Style: Harriet has such a unique style and great personality. Definitely a Style Icon! Papillon Chouette : I'm lucky to know Angie. Like all the girls on this list, I wish I knew her in real life! She's a great writer, as well as having a style all her own, so I encourage you to read her blog! RedPoppy Fashion: Tanya is an amazing local blogger, who I completely admire. She's insightful and has a great eye for fashion. She also makes gorgeous hats! RAGS against the MACHINE: Terri is a great writer and has such a classic sense of style! Statements In Fashion : Collette is so inspirational. She is talented and incredibly hardworking. She is also gorgeous and has a great sense of style. I think she is an important voice in the blogging world, and you should be paying attention to her! Thanks Crystal :) You deserve this award too!! Pleased to discover a fellow Disney lover. I knew I liked you for a reason!!! I recently found you on Hypeed and I think you are adorable. You like look like a Mia Farrow. Ohhh my gosh thanks so much for passing it on to me! Thats so lovely :) :)..
You can pass it on if you want! I promise you won't be ostracized if you don't. Allergic to Shrimps??? WOw... that would be a nightmare for me... i Love them!! 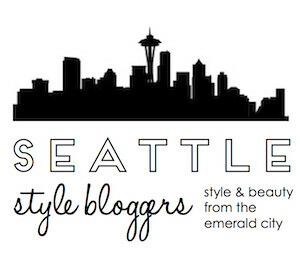 I really like your style and yourblog! !